Musicians have toyed around with music based on the human heart for decades, but we’ve never seen anything quite as ornate and mind-blowing as the Heart Chamber Orchestra. A collaboration between PURE, a music collective, and Erich Berger, an interactive artist, the performance involves 12 musicians, each of whom are wired to an electrocardiogram. 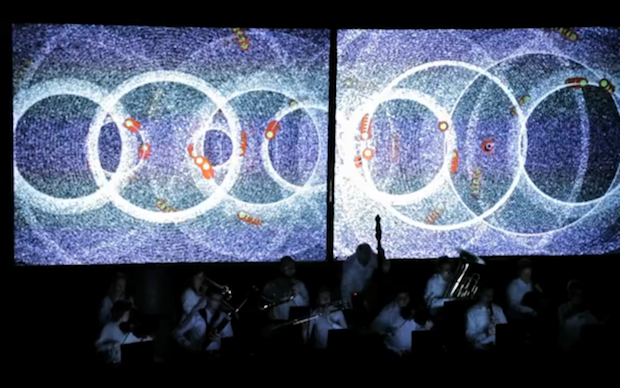 Software then tracks their heartbeats, using them as fodder for both a projected visualization and a musical score, which the musicians see on laptops placed in front of them. Watch how intense the visuals get towards the end. As the performance goes on, the heartbeats of the performers change in response–and all this flows directly into the music, becoming one giant feedback loop. 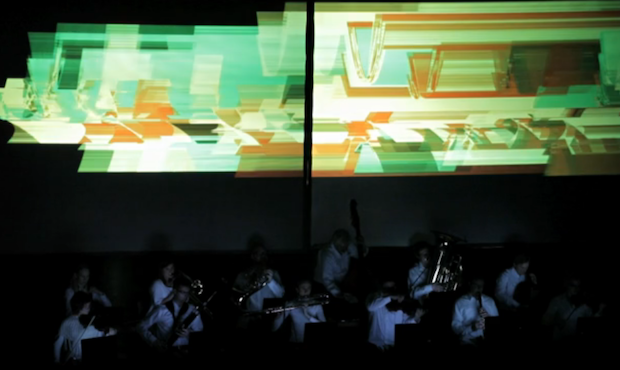 The piece was first performed last year, but it just had an encore at Sao Paolo’s FILE festival.